More as 5500 installations since 2008 in medical environments. The 2006 invented supply chain service for big enterprise customers. Reduce effort of high maintenance suppliers and making business with companies which are not matching the high standards of bureaucracy. Certified and experienced in building IT systems and solutions. 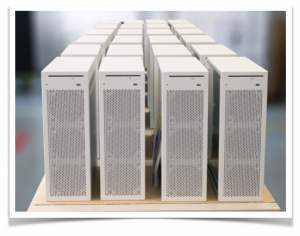 TRITEC offers a Tritec PC and Server BTO program for the German market as well as specialized OEM batch production including certification against e.g. UL or CE for local and international customers.